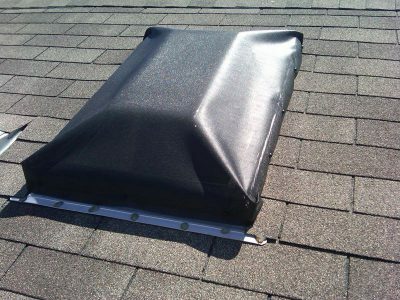 Need To Cover Your Hot Skylight? While they are known for keeping things bright, skylights also have a dark side. With all the light they let it in skylights can heat up a room to the point where it becomes an abandoned part of your home. The cause for your hot house is called the greenhouse effect: light comes in, heats up your room and then has nowhere else to go. Which would be fine if you were growing tomatoes in your living room, but chances are you’re not. Even with the AC on max some rooms just can’t be cooled, and the sun’s rays can also cause your furniture and floors to fade. 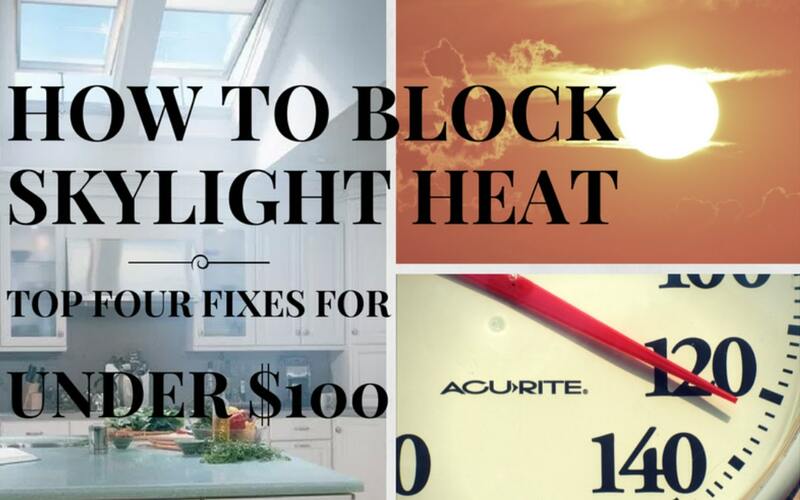 We’ve compiled a list of the top four DIY ways to cool your skylight and get your house back. This one is as simple as it sounds. The key to cooling a hot skylight is to stop the sun before it gets through the glass. If you can block the light, you can block the heat. Painting over your skylight will stop light from getting through and will keep for your house much cooler for just the cost of a can of paint. The main drawback with painting your skylight is that it is a fairly permanent fix. 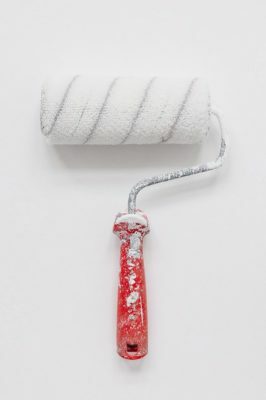 Scraping paint off is time consuming and you will undoubtedly be left with more than a few scratches on your glass. Depending on how hot your room is getting though, this may be a sacrifice you are willing to make. fix that is by far the cheapest of all your options. 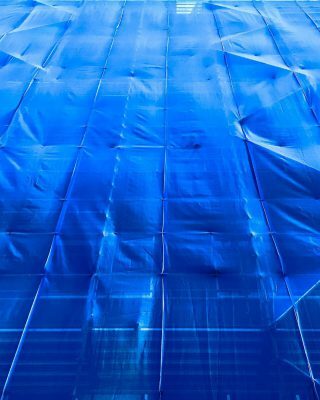 Simply buy a blue tarp that is several feet longer than your skylight. Lay it over top of the skylight so that it is completely covered and pin down the excess fabric using bricks. It’s a fast, cheap and easy skylight cover. You’ll still get some ambient light coming through and most of the heat will be stopped, but expect your room to have a blue tinge. Depending on how visible your skylight is from the street, you may also have the neighborhood eyesore on your roof all season. Once summer’s over, it’s only a matter of picking up the bricks and rolling up your tarp and you get your skylight back without a whole lot of trouble. This method requires the most amount of skill, but it’s the only one that doesn’t involve a trip to the roof. You will need to buy and cut a piece of foam insulation board that will fit snugly into your skylight shaft opening. Then, along the outside of the insulation board attach weather stripping. This will ensure a tight fit that you can push in or take out depending on the weather. This one make take some trial and error as you will need to cut the foam board to just the right size so it is just big enough to squeeze into the opening and effectively pinning itself in place. The biggest drawback with this method is that you are now trapping all the heat between the skylight and the insulation. This heat can build up to the point that your seals could fail or your glass could crack, so proceed with caution. EZ Snap is a solar mesh that attaches to the outside of your skylight that is proven to block up to 90 percent of the sun’s heat. It still lets in lots of natural light, plus it’s affordable and a breeze to install. 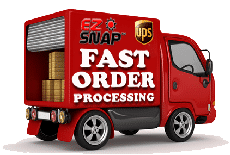 First, measure the size of your skylight and then order the appropriate kit from https://ezsnapdirect.com/products/skylight-shades/. Once the kit comes, no special tools are needed to install. Simply attach your mounting studs to the frame and then attach the mesh to the studs using the pins and caps included in the kit. Once it’s on it can be left on all year round. If you want some direct sun in those cooler months you can also easily unsnap the mesh and store it away until next year. Whichever method you choose to combat your sizzling skylight, know that the US Department of Energy concluded that exterior blinds and shades are up to seven times more effective at stopping heat from entering the home than interior blinds or window tinting.